TOKYO (Reuters) - A Japanese state-backed fund said on Friday it had yet to decide on its potential rescue plan for Sharp Corp, while a media report said Taiwan's Foxconn had raised its offer in a rival move for the struggling electronics maker. Innovation Network Corp of Japan (INCJ) officials have been discussing a capital injection of more than 300 billion yen ($1.7 billion) into Sharp and up to 350 billion yen of financial assistance from the company's two main lenders, sources have told Reuters. The fund had been expected to agree on a basic bailout plan on Friday, but INCJ Executive Director Tetsuya Hamabe told reporters after a meeting of the fund's executives that "no formal decision has been made". Sharp is weighing the INCJ plan against a rival proposal from Foxconn, formally known as Hon Hai Precision Industry. The Wall Street Journal reported Foxconn had raised its offer to 659 billion yen from an earlier offer of around 625 billion. Sharp declined to comment on the report, while Foxconn officials were not immediately available for comment. Sources have said the INCJ offer had been favored as the government would like to keep its technology in Japanese hands. But Foxconn recently offered more details about its offer including a promise to not slash jobs, and its plan was being carefully considered by Sharp and its bankers, a person with direct knowledge of the talks said this week. INCJ aims to merge Sharp's liquid-crystal display business with rival Japan Display Inc, in which the fund is the top shareholder. Japan Display and Sharp supply high-resolution smartphone screens to Apple. Both face stiff competition from Asian rivals such as South Korea's LG Display Co Ltd. 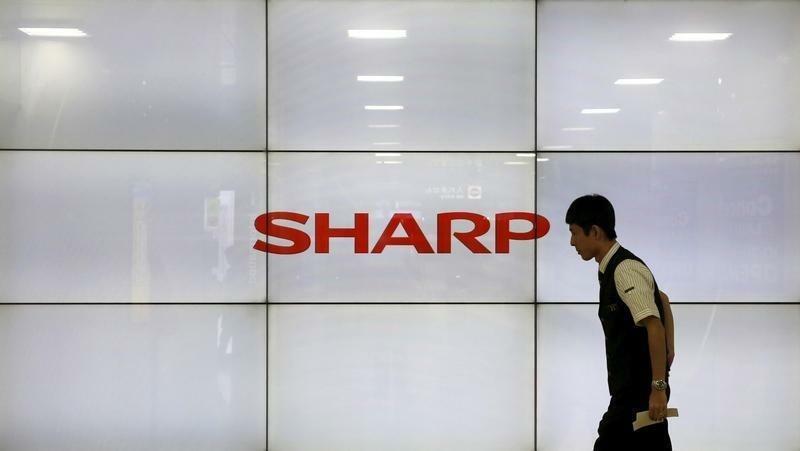 The fund also hopes to integrate Sharp's white goods unit with that of Toshiba Corp, which is struggling to recover from a $1.3 billion accounting scandal, sources have told Reuters. Sharp was once known as a major supplier of high-end TV and smartphone displays, but has come under heavy pricing pressure from Asian rivals. It is seeking its third rescue in less than four years, after a bank-led plan in May failed to turn it around.